The pronghorn (Antilocapra Americana) is the only surviving species of the family Antilocapridae. Pronghorn are the second fastest land mammal on earth, effortlessly running at 30-40 mph and topping out at speeds around 60 mph. This specialized adaptation for speed is attributed to an evolutionary arms race with their historic top predator, the now-extinct American cheetah. It has been estimated that 30-40 million pronghorn once roamed across North America. Due to overharvest and habitat loss and degradation, Wyoming pronghorn reached their lowest numbers in 1906 when there were just 2,000 of them left in the state. Drastic alterations to hunting regulations and strict management allowed the species to reach a peak of 600,000 animals in Wyoming in 1984, but pronghorn have continued declining in recent years to reach about 371,000 animals in Wyoming in 2013. 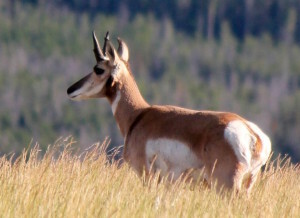 Despite these population fluctuations, Wyoming contains more than half of the remaining pronghorn in the world, making this state the stronghold for the future of this unique and emblematic species. Genetic research is becoming increasingly crucial for successful management of wildlife, as it provides insight into the genetic health and evolutionary potential that define populations, which might otherwise be undetectable. 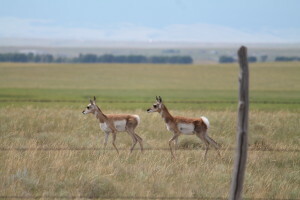 One of the most impactful diseases pronghorn experience is Epizootic Hemorrhagic Disease (EHD), which is caused by either epizootic hemorrhagic disease virus (EHDV) or bluetongue virus (BTV) and is transmitted by an insect vector. EHDV/BTV outbreaks can cause massive die-offs of pronghorn in Wyoming, but some animals produce antibodies to these viruses and survive. We will evaluate genetic factors associated with disease susceptibility and use molecular pedigree reconstruction to determine associations between family relationships and disease. 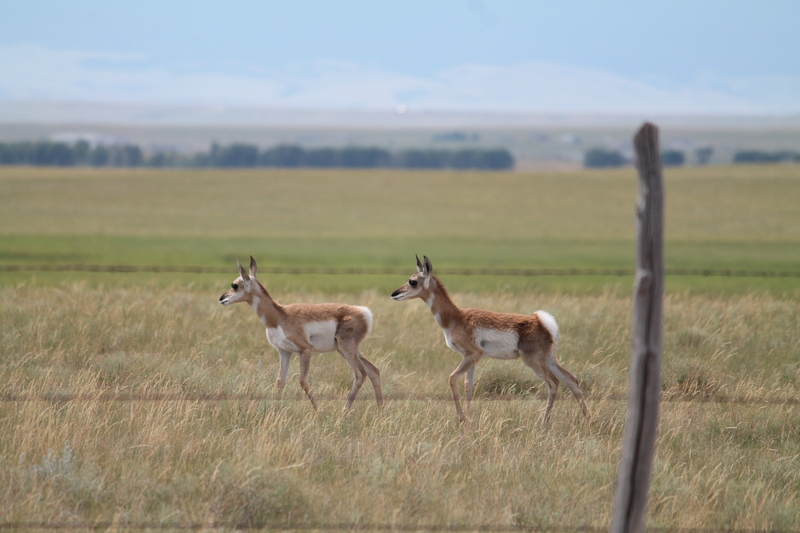 Pronghorn adaptations: This conceptual activity asks students to think about the advantages and disadvantages of some of the physical, behavioral and physiological adaptations that pronghorn have evolved. This activity is best-suited to middle school or high school students. “More Pronghorn than People” historical perspective from early 1990’s. UW American Heritage Center. Byers, John A. 1997. American Pronghorn: Social Adaptations and Ghosts of Predators Past. Chicago: University of Chicago Press. O’Gara Bart W., Jim D. Yoakum. 2004. Pronghorn: Ecology and Management. Boulder: University Press of Colorado. Wyoming Game and Fish Department. 2014. Annual Report.